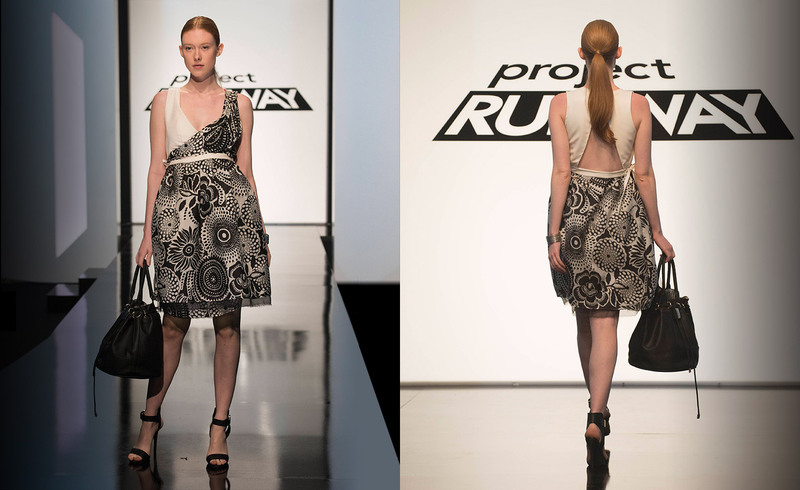 On Thursday’s Project Runway, designers were asked to make a twist on a classic New York look. I thought there were a lot of great looks, and I my top 3 is slightly different. Merline– Merline did the best in my opinion. Blake’s was innovative, but Merline’s was innovative and well thought out. The materials looked luxurious, and I can see this walking the streets of New York City. Ashley– She should have been in the top 3. This looked like something Blair Waldorf would wear, and I loved it. I thought this was polished, well-constructed, and tasteful. Swpanil– I love Swapnil’s crazy style. I wasn’t as high on it as the judges just because I wasn’t a fan of the sheer material, but I thought this was another strong look. The back is the best part of the look, and it was a clever twist on ruffles. Candice– This was a great dress. It was flawless in construction, and it made a powerful statement. I didn’t like the jacket, but the dress was strong enough to make the top 3. Edmond– I thought we were getting a zippered jumpsuit! That would’ve been amazing. Instead, we got a solid jacket and simple skirt. It was good, but not my favorite. Laurie– This looked a little forced to me. I like the amount of work in the jacket, but I’ve seen this before. It reminds me of Kini’s looks from last season. Joseph– This was a good look, but there wasn’t anything new about this at all. They’re designing for Marie Claire, so why make a peplum dress? Kelly– The play on the white tee was a good idea, and it had Kelly’s signature. It was a good, safe look. It’s too bad all that detail was put into the shirt because it wasn’t seen on the runway. Jake– Jake kind of annoys me, especially after last week’s team challenge. His taste is questionable, and I don’t really know what his design aesthetic is. Heidi definitely lit up a little when she saw this. I knew she’d like his look. 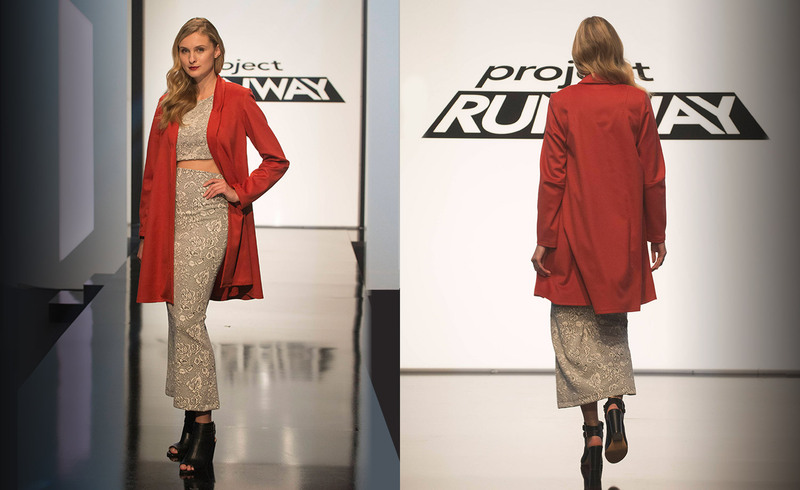 Lindsey– I loved the jacket,but the crop top and skirt were wrong with the jacket. 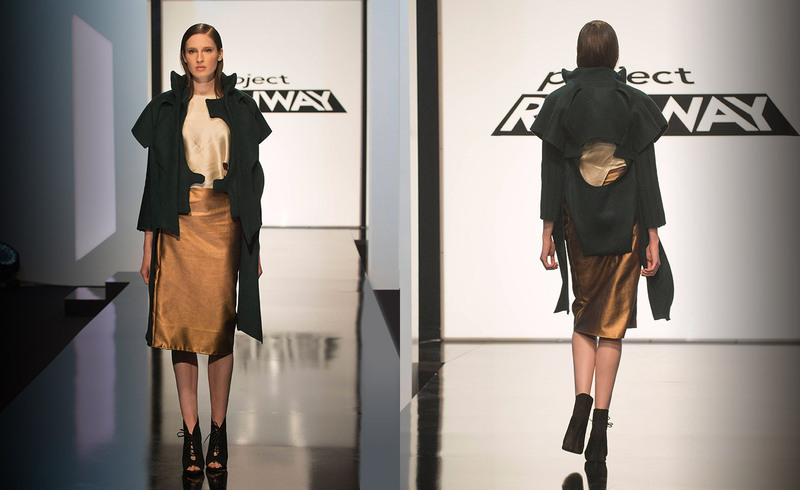 The jacket would look fresh and new with a short little black dress or a sheer cutout dress. She chose the wrong shoes and styling. Amanda– This was not a good look. It looked frumpy and ill fitting, but I liked the concept on the dress. I have hope for Amanda, and hope she makes a comeback like Sean did last season. Also, she reminds me so much of Youtuber, Ingrid Nilsen. Gabrielle– The coat would’ve been so cute with a short colored shift dress. The dress was so unfinished.